On Saturday, the Huskies travel to Nippert Stadium, a place that UConn has gone 0-6 at since the Bearcats joined the Big East for the 2005 season. The closest game was a memorable one in 2009 on ABC Saturday Night Football with Brent Musburger on the call, as Randy Edsall took a team recovering from the loss of Jasper Howard to Cincinnati and fought for the entire sixty minutes, recovering from a 37-17 3rd quarter deficit only to fall just short, 47-45 against a Bearcats team that went on to an undefeated regular season. Overall, the average score at Nippert has seen Cincy come out on top 36-20, including 37-13 in the last meeting in the venue two years ago. 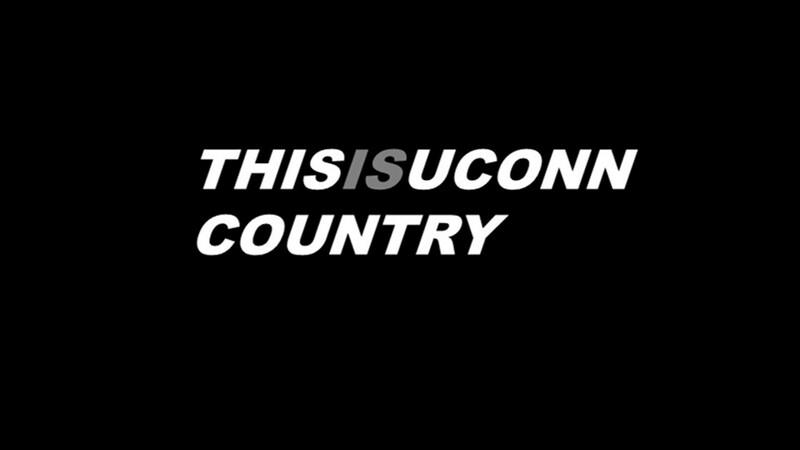 Last season, it was the Huskies who came out victorious at The Rent, a 20-9 win where UConn pitched a shutout in the second half while limiting the Bearcats to just 2-yards rushing on 22-attempts in the game. Yes, you read that stat correctly. Back is QB Hayden Moore, as is RB Mike Boone for an offense that is under new leadership following the firing of Tommy Tuberville shortly after the conclusion of the 2016 season. Ohio State defensive coordinator Luke Fickell took over, but the Bearcats have struggled to a 3-8 record, while going just 1-6 in the AAC, with a 17-16 game with Tulane the lone win. The high point was the win over in-state rival Miami (OH), in a dramatic 21-17 come-from-behind victory. The offensive struggles for the Bearcats in 2017 are a welcome sight for a UConn defense that faced five of the top 12 offenses in the nation over a seven game stretch in UCF, Memphis, SMU, Missouri and USF earlier this season. Cincy averages just under 21-points per game (115th in the nation) and is ranked in the bottom half of all offensive categories including total offense (103rd), passing (75th) and rushing (98th). It’s a nice matchup to close the year for the Huskies, who are looking to record their fourth win of the season and build some momentum heading into year two under the new staff. On Tuesday, Edsall highlighted some of the key players that will standout on Saturday during his weekly press conference. It was announced a few weeks back that redshirt junior safety Anthony Watkins would be honored during senior day in the Huskies home finale against USF. Unfortunately, an injury will cause him to miss the last game of his final season with UConn. The loss of Watkins means the secondary once again will look younger from a years experience standpoint. True freshman Omar Fortt returns to the lineup and will be backed up by Eddie Hahn, who makes a shift back to the secondary from linebacker this week. Why the move of Hahn? The ability to plug certain guys into various positions highlights the versatility of several players in the secondary and hybrid linebackers to rotate through various roles. NOTE: Edsall continued with his comments on Coyle and Fortt, but the recording died out before he finished his response. For several Huskies, Saturday will be the final time they ever play the game of football competitive again. It’s a thought Edsall shared with the team at practice on Tuesday, using it as further motivation to have proper preparation for the game on Saturday. Edsall added a little more fuel to the fire. On Tuesday, head coach Randy Edsall shared that earlier in the week, multiple seniors had been invited to postseason all-star games. First up, DT Foley Fatukasi was invited to the East-West Shrine game, while RB Arkeel Newsome had earned an invite to the Tropical Bowl in Daytona Beach. Any time adversity strikes one player, it opens up an opportunity for another. 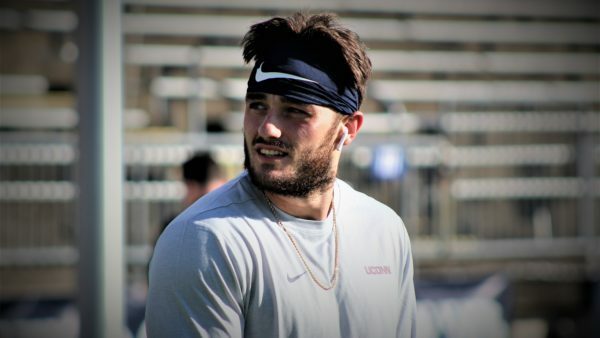 Such is the case with redshirt freshman LB Ryan Gilmartin, who will start and play the entire first half with senior Junior Joseph sitting out the first two quarters following a targeting call that saw him ejected in the second half against Boston College at Fenway Park. Gilmartin got on the field in the second half at Fenway and Edsall liked what he saw from the Weddington, NC native. Saturday is a final opportunity for JUCO transfer David Pindell, in his fourth start of the season, a third of a college football year, to put on tape how he’s progressed at this level in one season. This is an important game, specifically as the page gets turned to 2018 immediately after the final whistle blows this week, to leave a strong impression to try to separate himself from some of the younger talent on the roster. Two redshirt freshmen, Marvin Washington and Jordan McAfee, will be joined by Steve Krajewski, a commit from Colquitt County High School in Georgia, who is currently leading his team into the quarterfinals of the Georgia AAAAAAA State Playoffs this coming Friday. Those three will have the disadvantage of not playing in a game at this level in live game action and Pindell has a chance to add to his resume on Saturday. Edsall highlighted a few things he wants to see from Pindell this week.